This is not a normal Air Charter. 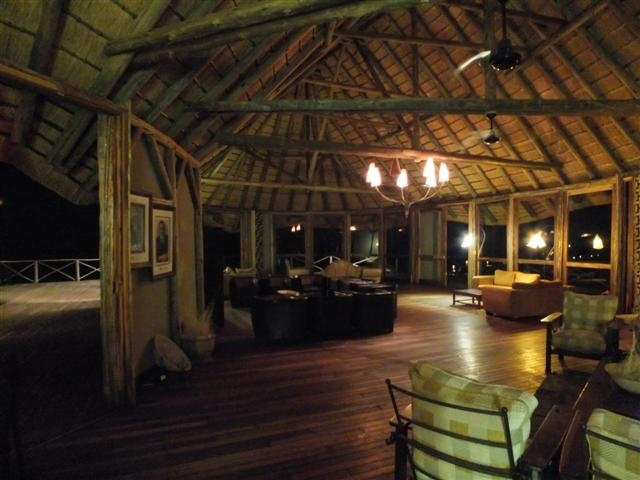 All Fly-in Safaris as a holistic experience from beginning to end. The Pilot is an experienced, knowledgeable and qualified Safari Guide that will guide and provide information throughout the trip, both in the air and on the ground during excursion and activities. Full intercom headsets are provided in the aircraft so as to communication with the Guide as well as each other.During flights from area to area the routing follows scenic landscape and other highlights so as to provide a complete experience, both from the skies and on the ground. Guests can enjoy complete flexibility with regards to departure and arrival times as the pilot/guide always accompanies the guests. The aircraft also stays with the group for the duration of the Safari, providing additional evacuation possibilities or change in Safari plans as may be requested by the guests. 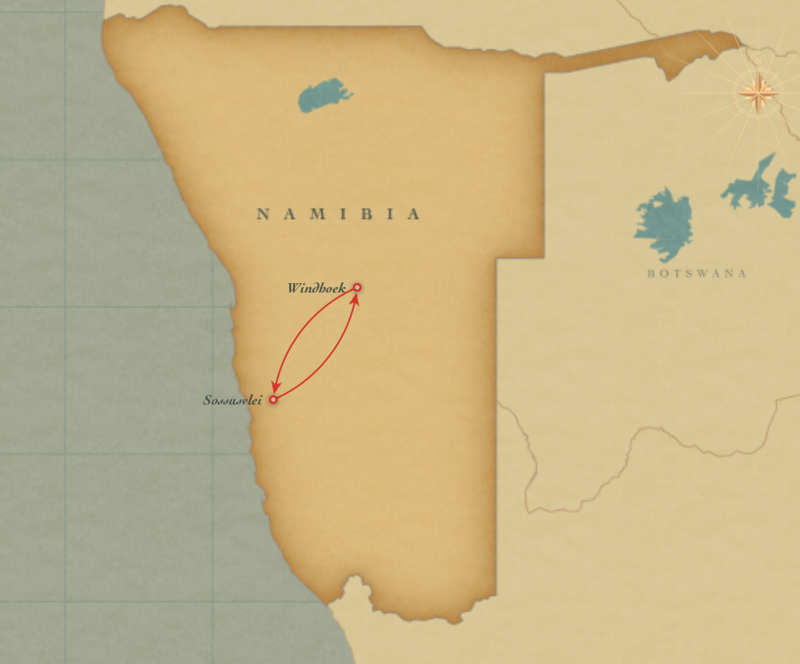 This safari begins in and ends in Windhoek,Namibia. Your fly-in safari begins! 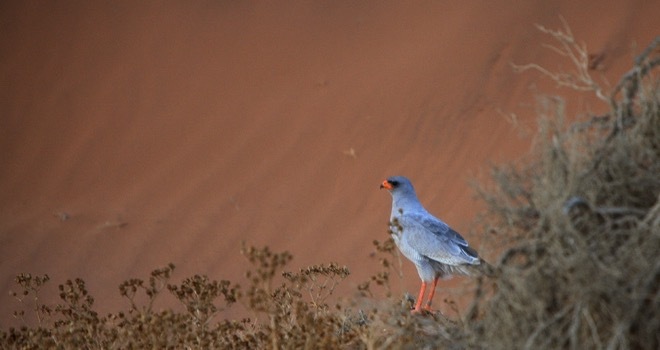 The flight will head out in a south-westerly direction towards the breathtaking Sossusvlei. Your fly-in safari begins! 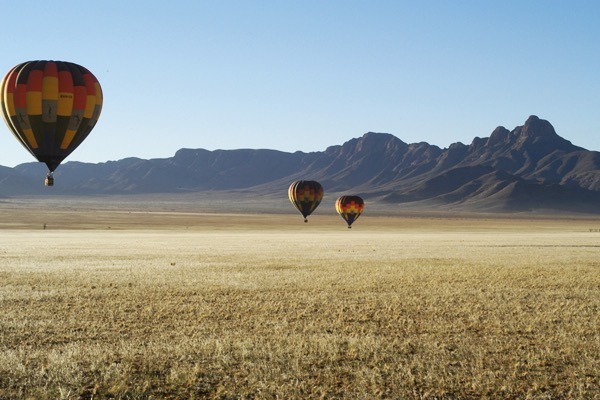 The flight will head out in a south-westerly direction towards the breathtaking Sossusvlei. 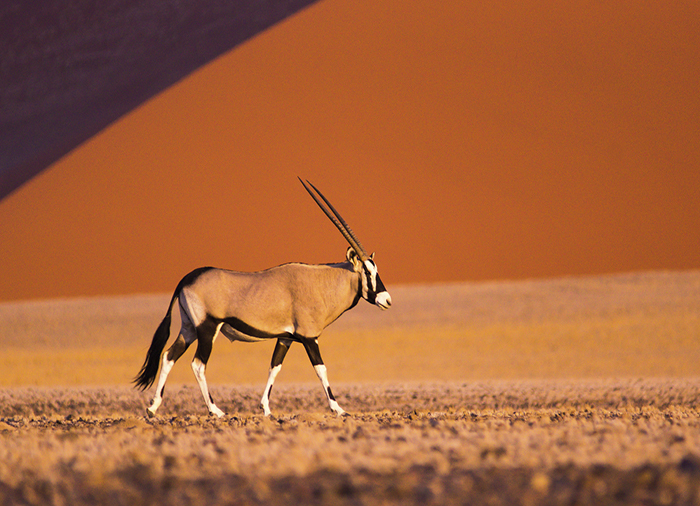 Sossusvlei - located in the Namib Naukluft Park, the largest conservation area in Africa, and fourth largest in the world - surely one of the most spectacular sights in Namibia.The sand dunes of Sossusvlei in the Namib Desert are often referred to as the highest dunes in the world! 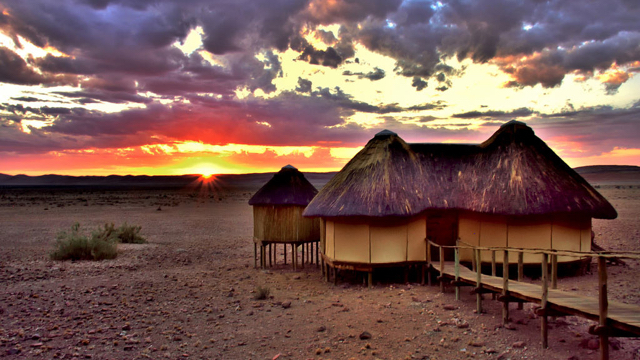 The Lodge is situated inside the Namib Naukluft Park. 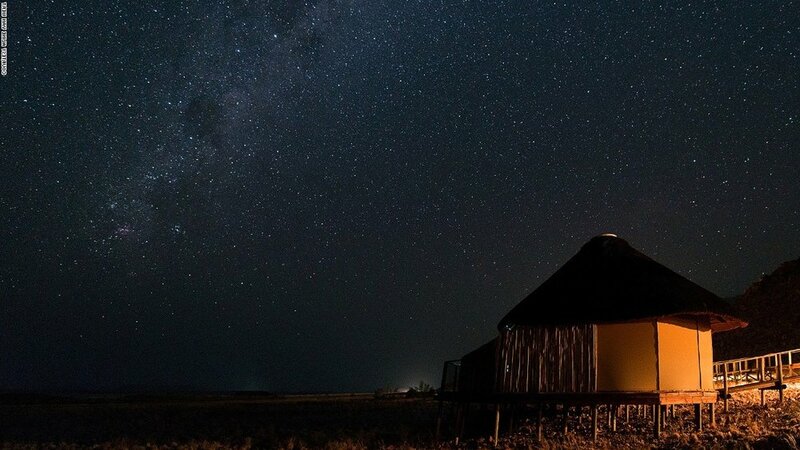 Built primarily from wood, canvas and thatch in an attractive ‘Afro-village’ style, the Lodge offers guests an evocative and life-changing experience. 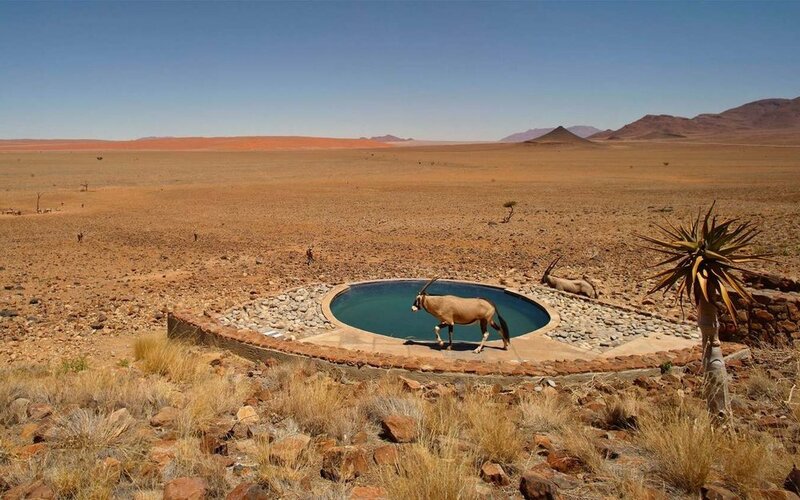 Due to it's proximity to Sossusveli, guests will benefit from being able to reach Sossusvlei before sunrise, and to stay until after sunset, and on their return after an exhilarating day, to relax in tranquility and splendor of the Namib Desert, under the spectacular African sky. Offering professional guided tours to fully unleash the beauty and biological diversity of the desert environment to visitors. 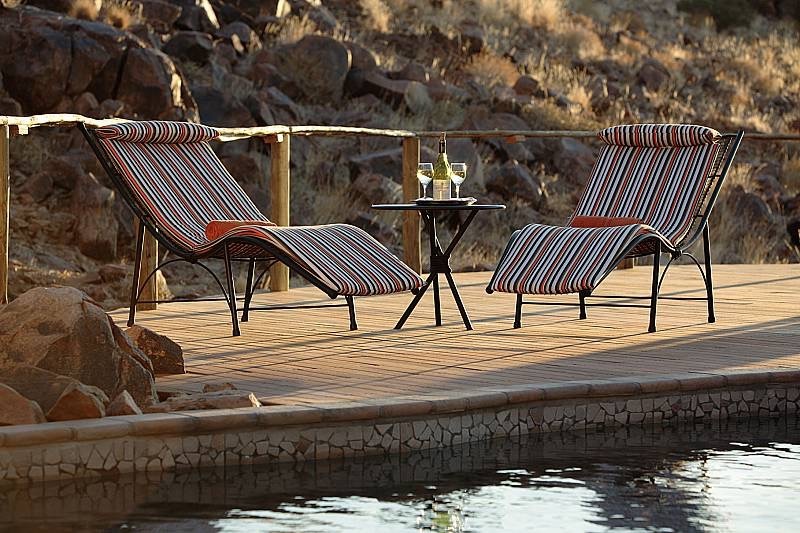 Return private charter flight to Windhoek airport for your flight back to the USA!